The American Mental Health Foundation is delighted to announce Dr. Paul Quinnett has joined its professional-advisory board. Dr. Quinnett is currently president and CEO of QPR Institute, an educational organization dedicated to preventing suicide. Author of 8 books and an award-winning journalist, he is also Clinical Assistant Professor in the Department of Psychiatry and Behavioral Science at the University of Washington School of Medicine in Seattle, Washington. 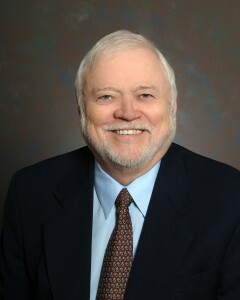 In addition to directing a large, public-sector mental-health program for adults and elders for 30 years, and serving as director of an American Psychological Association-approved internship in clinical psychology, Quinnett maintained a limited private practice in psychotherapy, law enforcement, and corporate consulting. Similar to the brief intervention model of CPR, the QPR Gatekeeper Training for Suicide Prevention program has been taught to nearly 2 million citizens and professionals by more than 15,000 certified instructors worldwide and in more than 13 languages. Among his 8 books, Suicide: The Forever Decision is considered a classic. In the early 1960s Dr. Quinnett served in the US Army Security Agency in Asia (now NSA). Much of his work in suicide prevention is based on his military training in surveillance, signal detection, intelligence gathering, threat assessment and analysis of human behavior. Dr. Quinnett enjoys a second career as an avid fly fisherman, travel writer, essayist, public speaker, and author of such fishing books as Pavlov’s Trout and Darwin’s Bass. His most recent is The Search for Elusive Trout.